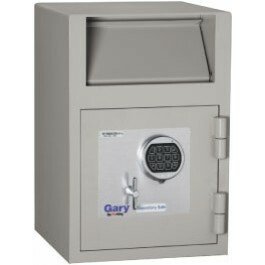 For reliable protection from theft and robbery, choose a Gary FB2114RE, Electronic Lock Series Depository safe. 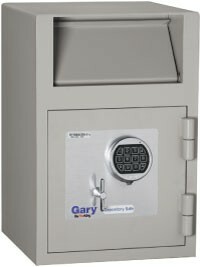 Created to handle the security needs of retailers, our depository safes feature a 3/8-inch door, formed steel body and front postal style drop hopper. Available with e-lock, key or dial combination locks. The compact size of these models permit easy under-counter installation. Whether you need to secure cash, money bags, coin, currency or any nightly deposit, this drop safe is great for retail sales.